The Restoration Council of Shan State/Shan State Army (RCSS/SSA) says it will return a Burmese soldier who was apprehended earlier this week during a clash in Mong Kung Township, southern Shan State. Gen Yawd Serk, the chairman of the Restoration Council of Shan State/Shan State Army (RCSS/SSA). 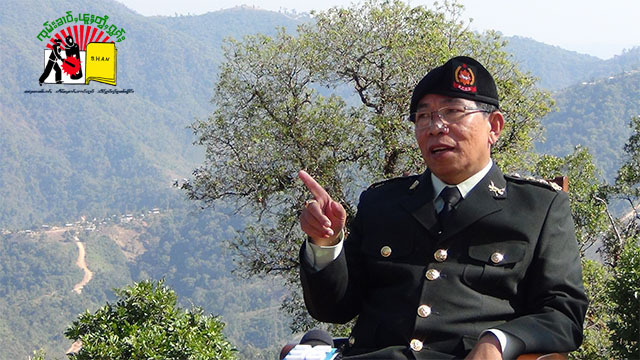 Gen. Yawd Serk, the chairman of the RCSS/SSA, told Shan Herald that the arrested soldier will be handed over to the Burmese army. He said that his group had reported the case to Shan State’s Joint Monitoring Committee (JMC), which was formed to monitor both government forces and ethnic armed groups in accordance with the terms of the Nationwide Ceasefire Agreement (NCA) signed on October 15, 2015. Fighting between RCSS/SSA and Burmese army Infantry Battalion 577 broke out in Wan Mong village tract in Mong Kung Township on August 13. On October 5, 2016, Shan Herald reported that clashes between two groups broke out in Mong Kung Township, a RCSS/SSA stronghold, when a Burmese unit overran an RCSS/SSA rehabilitation center. The hostilities compelled more than 2,000 civilians to flee their homes. The RCSS/SSA is considered one of the strongest ethnic armed groups in Burma. Despite the ceasefire accord, it has clashed more than 20 times with Burmese government forces since the signing of the NCA with the then President Thein Sein administration.